-Tap center of hands to make them temporarily disappear courtesy Ram Mor. -TAP 9 oclock- To cycle through 4 levels of additional dark filters. Good for when display is too bright in a dark setting. 4th Tap is complete darkness Theater Mode. Tap logo to cycle through different colors. Tap 6 oclock for dim options. Tap 3 oclock to choose between 24hr time, 3 time zones, and stopwatch. Shows HI LO temps , current conditions, current temperature. Tap 2 and 4 to operate stopwatch. Tap temperature to get update. 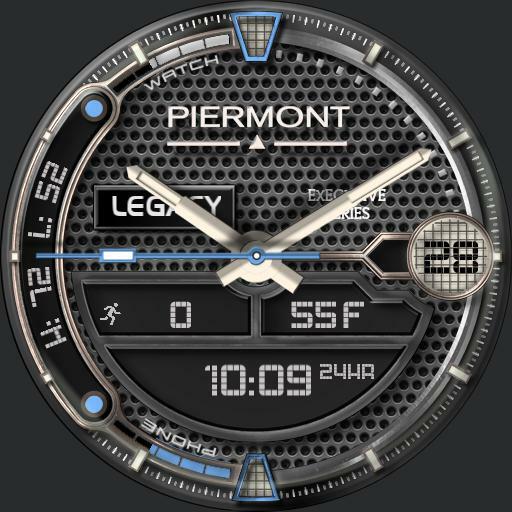 Shows watch and phone battery.